Years and years ago I watched this film and I thought I'd give it another go because frankly I only had some slight memory of it. Rediscovering films is fun to do because when you re-watch it at a different stage in life you see things and understand things you wouldn't have otherwise. It's my nerdy version of fun. 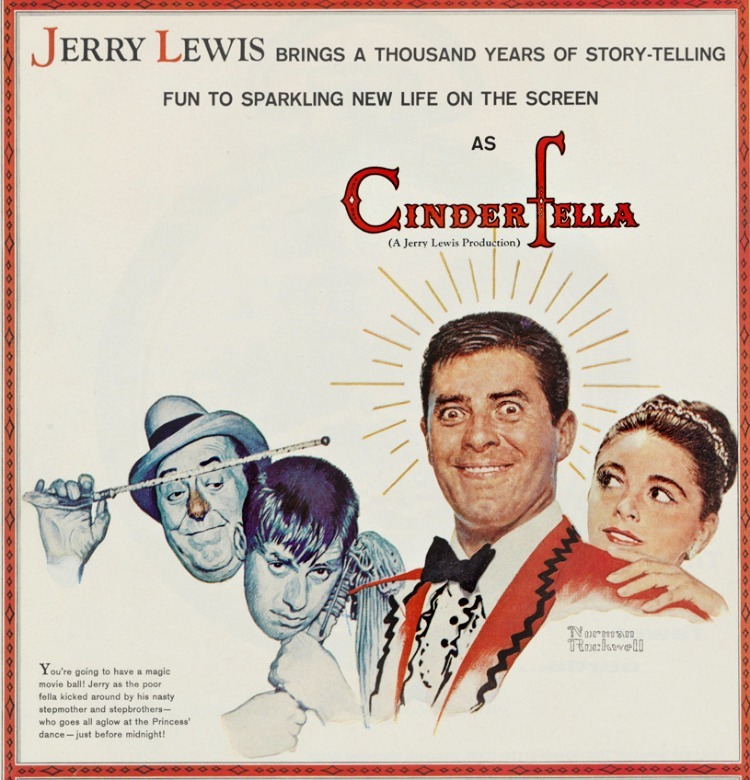 Cinderfella stars Jerry Lewis who is known for his comedic work starring as the male counterpart of Cinderella. He has a selfish stepmother, two awful stepbrothers, and he is their maid and servant on a daily basis. 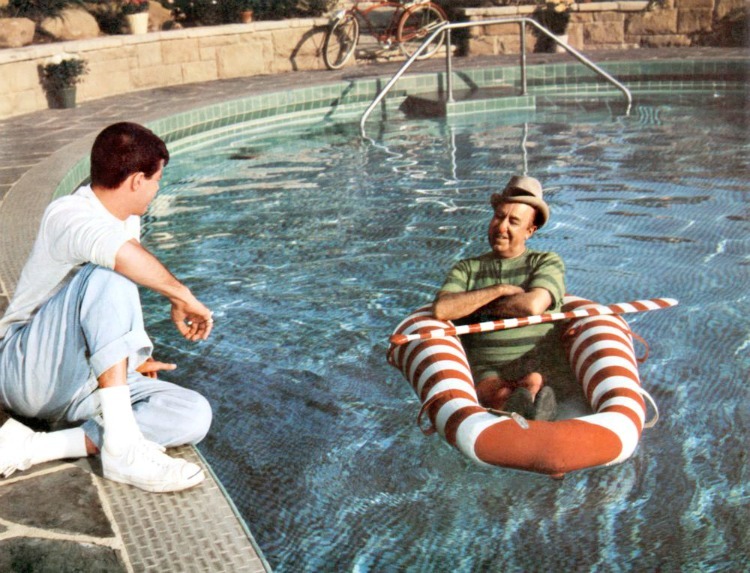 And let's not forget his fairy godfather played by the always fun to watch, Ed Wynn. Telling this tale from a male perspective I noticed is a bit tricky and its probably why I have never heard of a another film trying to tell the story from this view point again. But I found it refreshing in its attempt and simply just fun to watch. 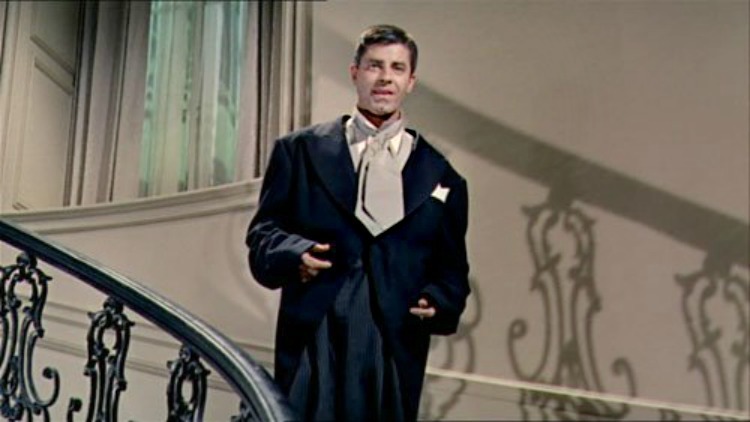 Jerry Lewis is funny and silly and makes you giggle when you least expect it. He is just so good at what he does. What you don't expect is for Cinderfella to take on a serious tone. It takes a while to get to the meat of the story but once you get to it you will be genuinely wowed by his performance. And aside from the silliness, there really is a beautiful story that is told with a happy ending and all. There were a few parts of the film that I remember as a child sort of cringing to but the second time around I have to say it was just over dramatics on the actresses part. Once you see the film you will know what I mean. I don't like to give away too much in my reviews but I truly want you to see and experience for yourself. I suggest to be patient during the beginning of the film, enjoy the silliness, and hold onto your seats because you will see a side to Jerry Lewis's acting that is rarely if ever seen again. Truly lovely to watch and in all honesty, you cant go wrong with a Jerry Lewis film. Have you seen Cinderfella? Do you like Jerry Lewis films? 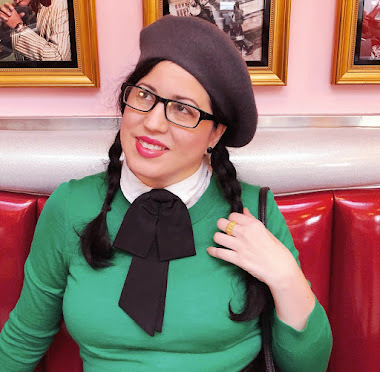 Are there any you liked a lot and would like to share with me and my readers? This sounds like fun! 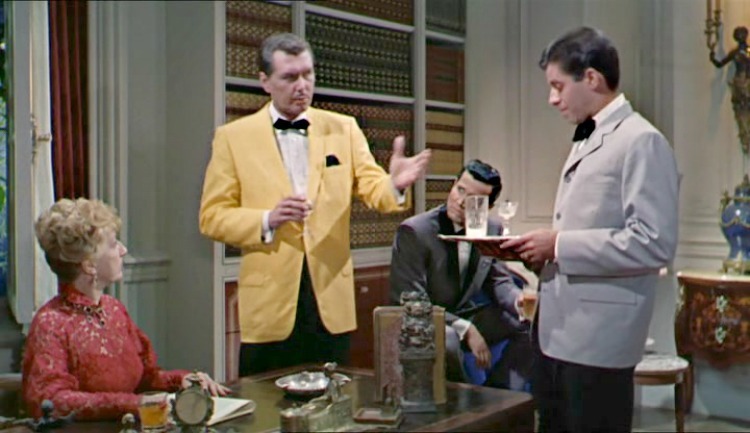 I don't know if I've ever seen a Jerry Lewis film, but of course I've heard about him and Dean Martin. This sounds really fun and charming, I'll have to keep an eye out for it.